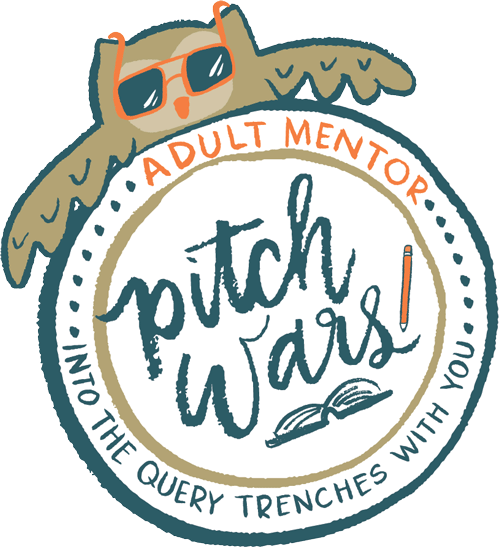 I had the pleasure of meeting author and fantastic all around person, Brighton Walsh, last year during Pitchwars. She came on Whiskey, Wine, & Writing to talk about her mentor status, what she was looking for in a mentee, and of course how she landed her awesome agent. Her New Adult novel CAGED IN WINTER was published by Penguin in late 2014. 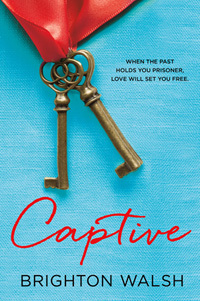 Today we’re doing an interview and giveaway for her newest book full of win CAPTIVE! Natasha of the Blog: Hey Brighton, thanks so much for chatting with me. Why don’t we start by telling people a bit about who you are, what you do, and the awesome stuff you write. Natasha of the Blog: A multitalented woman, you were originally a photographer, so how did you mingle your way into the world of writing? Brighton the Scribe: It’s actually not that big of a leap between the two. In photography, I did a photojournalistic approach, which meant I captured moments. Stories. In writing, I just put those stories down with words instead of images. I wrote long before I started in photography, though. But between life and kids, writing (and reading for that matter) took a back seat. About six years ago, I finally got pulled back in. Natasha of the Blog: All right, let’s jump into CAPTIVE! Give us the juicy info, the delicious details, the concept behind the creative! Brighton the Scribe: CAPTIVE is about a sheltered college student who’s kidnapped and held captive by an intense and secretive man. While in seclusion, they begin to fall in love. The concept actually came from my editor who sent me a hook very similar to what I just described. She loved my writing style in CAGED IN WINTER and wanted me to write this concept. I said okay. 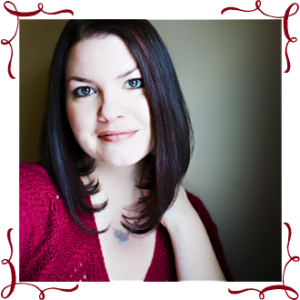 Natasha of the Blog: If you could choose one character in CAPTIVE besides the protagonist that you would make a story for, who would it be and why? Brighton the Scribe: Riley. Which I’m totally doing in EXPOSED. I just really loved his character. He was such a contradiction to Ghost in his demeanor. I wanted to know what his story was all about. Natasha of the Blog: When is CAPTIVE set to release? Brighton the Scribe: It comes out on March 24th! Natasha of the Blog: I, personally, can’t wait to read it! I read CAGED IN WINTER in six hours. Four in one day and then ya know—I had responsibilities, so I finished it the next day. TESSA EVER AFTER is the next book in that universe—another one I can’t wait to read. Can you give us a little info about that? Natasha of the Blog: Awesome sauce! So for the New Adult Writer out there looking for an agent, do you have any advice on what to do or not to do? Brighton the Scribe: NA is hard to break into now, from what I’ve heard. But I think no matter what category or genre you write in, excellent writing, a strong plot, compelling characters, and persistence will always be the magic combination. It doesn’t hurt to have a good attitude, too. Positive things happen to positive people. 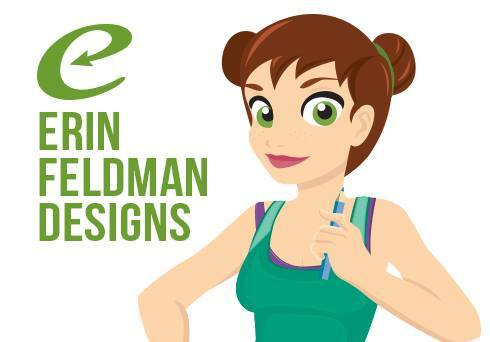 Natasha of the Blog: You have been most awesome for doing this interview! Now, I know some readers are anxious to get going with that giveaway. But first, a little bit about the awesome Brighton! A HARD COPY will be available to US entrants only. We love everyone from everywhere and if you can make the post office bring down their price so international shipping isn’t such a crime more people would win in countries outside of the one where the author resides. If an INTERNATIONAL entrant wins, it will have to be an ecopy. Cause ya know, no evil shipping rates. So, how do you win a copy of CAPTIVE? An excellent question! Follow Brighton @WriteasRain_ and myself @Raulersonwrites on twitter. Enter the rafflecopter giveaway and I’ll choose a winner on Monday, March 30th 2015 and forward the information to Brighton. She’ll take it from there! ahhh! Loved that interview! My favorite thing about New Adult is that when it’s done right…it’s really a journey of exploration and finding your place in the world. It’s experiencing that love in a boy, in a friend, yourself, etc. New Adult just opens so many possibilities! I love the genre because it has all the fun and all the sexiness I crave in a book, and Brighton’s writing is excellent.